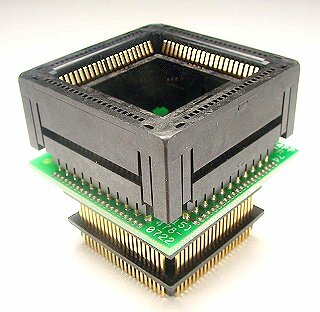 PLCC Prototyping adapter. Plugs into PLCC production socket on prototype board. Adapter wired 1-1. Top Side; Pins: 84 Pitch: 0.050"